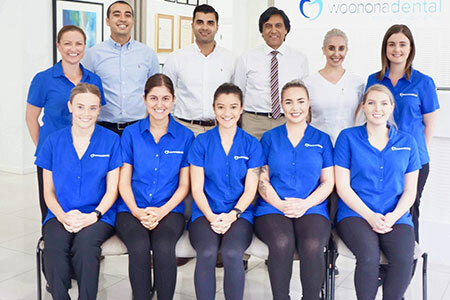 Woonona Dental has served Woonona, Bulli, Thirroul with superior dental care for almost fifty years. While the field of dentistry has changed significantly since we first opened in 1960, our commitment to providing quality dental care in a family friendly environment where all patients feel welcome and comfortable hasn’t changed. 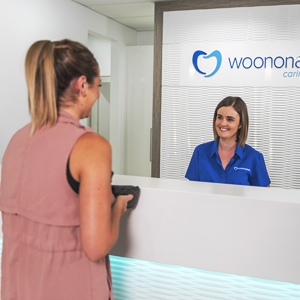 Woonona Dental pride ourselves on providing modern, cutting-edge dental care, with a state-of-the-art facility to bring you the best technology, equipment and techniques. Our dentists are extremely experienced, with several decades of practice to benefit you. There is a full range of dental services available at our practice, including general, cosmetic and more complex procedures such as periodontics, endodontics, wisdom teeth removal and dentures. Though we are generally able to take care of all your needs at our location, we can refer you to trusted and reputable practitioners in our network when specialist services are required. Woonona Dental has been providing dental care to generations of Woonona families for five decades. Dr Harry Champion first opened our doors at our former Russell Street location in 1960 before handing the reigns over to Dr Albert Clottey in 1986. For almost thirty years, Dr Clottey was our principle practitioner and continues to work in the practice two days a week. Dr Raj Pather, our current Principle Practitioner with over thirty years’ experience, joined our practice in 2014. Dr Pather’s family have been providing health and dental care to the Illawara region since the 1970’s. His father is a well known and respected general practitioner in the region, and after graduating from university in the mid-1980’s, Dr Pather operated a practice in nearby Dapto before joining our team. We focus on tailored solutions that fit your lifestyle and budget. All health funds are accepted, with HICAPS facilities on-site to process your claim immediately. An eftpos system allows you further options for payment. Pensioners receive a 10% discount on all dental services at Woonona Dental. Schedule your time with our knowledgeable, friendly team today! We offer extended hours and free parking.